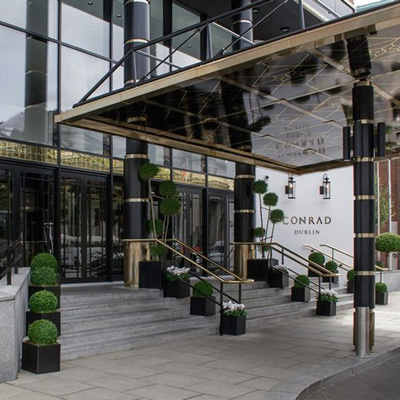 The Conrad Hotel can be found ideally located just a short walk from Dublin’s city centre. 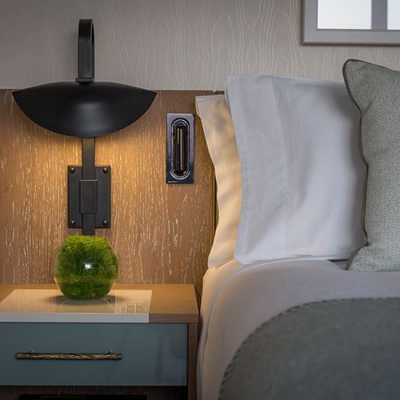 This hotel is a five star property offering classic luxury. 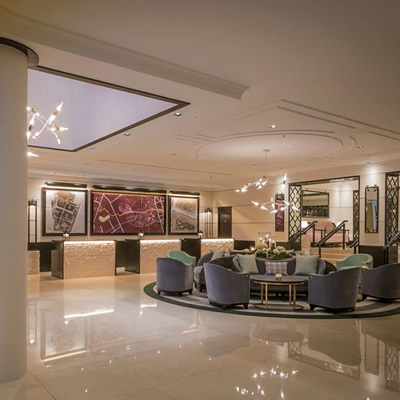 We had heard great things about the Conrad Hotel and were excited to be visiting this property. When we arrived we were greeted warmly and it really set the tone for the whole stay, which I must say, was faultless. Once checked in efficiently by the friendly reception team, we were shown to our room. During our visit we experienced one of their Leisure Suites which was wonderfully spacious. The suite comprised of a separate lounge and bedroom area as well as the bathroom. The lounge included a gorgeously comfortable sofa and arm chair, a large dining table and a wall mounted flat screen television. A number of ornaments adorned this room, one of which was an illuminated spinning globe that I was only too happy to explore. We were also delighted to find a well-stocked minibar and espresso coffee machine. The bedroom was exactly what we expected and so much more, with a king size bed with plump pillows and a generous helping of scatter cushions. There was also a wardrobe and drawers along with another flat screen television and a vanity table, perfect for getting ready. The huge windows also allowed for the light to flood the entire suite which was a real highlight for us. In the bathroom we found a separate bath and walk-in shower, along with a single wash basin. The bathroom was certainly not short of space and we were pleased to enjoy the thick, fluffy white robes. 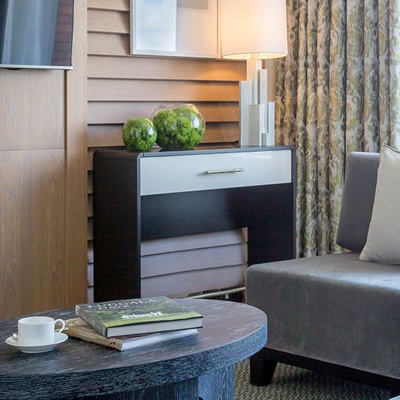 Overall, the suite was immaculate, extremely well kept and we simply could not fault it. 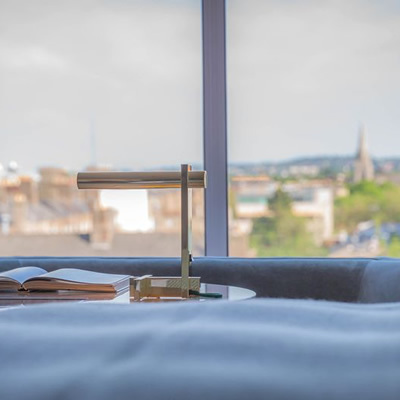 The hotel itself offers a number of facilities, including dining options such as The Coburg Brasserie, Lemuel’s Bar and Lounge where afternoon tea is served, there’s even a pub - Alfie Byrne’s, if you’re looking for a slightly more authentic experience. For those looking to keep fit there’s also a well-equipped gym. What we appreciated most about the hotel was how well kept all of the common areas are. There was no shortage of fresh flowers throughout, which were a joy to walk past as each bouquet smelt beautiful. The staff were also a pleasure to deal with, and we thoroughly enjoyed speaking to them about things to do in Dublin. This hotel is so ideally located for exploration; we thoroughly recommend a long walk through the local park and city to see the sights. Our experience was a memorable one and we would happily repeat it. 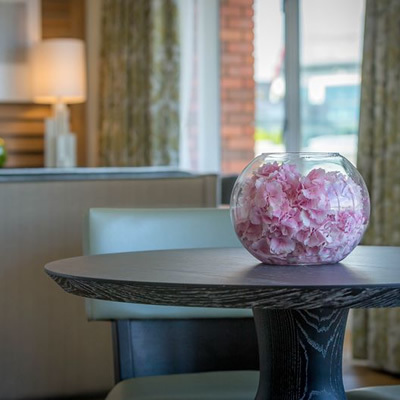 We would highly recommend the Conrad Hotel for anyone looking for a touch of luxury in Dublin. 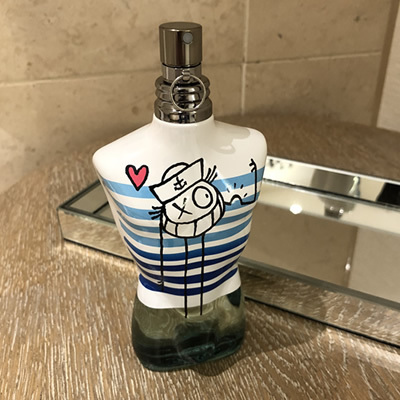 It's essential to ensure you always have the perfect travel companions, this is what we packed in our suitcase for our visit to Conrad Dublin.